Sorbitols - 420 - Noshly - Wise eating, made easy. Sorbitols (E420) can be derived from a number or sources. E420 (i) - Sorbitol; E420 (ii) - Sorbitol syrup. It is also used frequently in almost all "sugar free" chewing gum. E420 - Sorbitols: Not suitable for diabetics, infants and young children, liver toxicity, gastrointestinal upsets. Prohibited in foods for infants and young children. E420 - Sorbitols: Artificial sweetener and humectant; derived from glucose, either obtained from berries or synthesised; used in lollies, dried fruit, pastries, confectionary, low calorie foods, pharmecuetical syrups and opthalmic preparations and is the seventh most widely used preservative in cosmetics; not permitted in foods for infants and young children, can cause gastric disturbance. 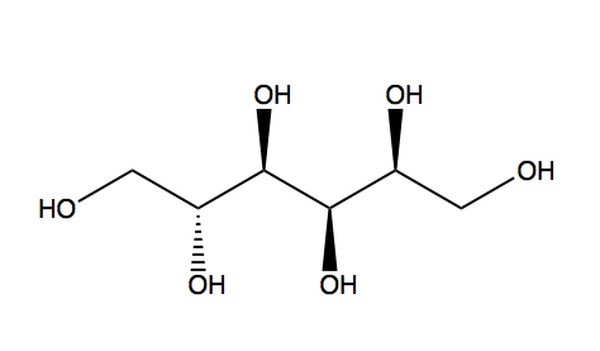 E420 - Sorbitols: Artificial sweetener and humectant; derived from glucose, either obtained from berries of the Sorbus aucuparia tree or synthesised; used in confectionary, dried fruit, pastries, low calorie foods, pharmaceutical syrups and ophthalmic preparations and is the seventh most widely used preservative in cosmetics; not permitted in foods for infants and young children, can cause gastric disturbance. Four pieces of low-joule chewing gum can make a child seriously ill. Not recommended for diabetics or people with fructose intolerance. E420 - Sorbitols: Not permitted in foods for infants and young children, VERY LARGE AMOUNTS can cause flatulence, diarrhoea and abdominal distension. 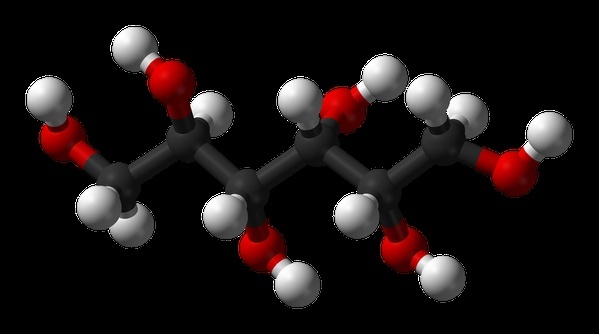 E420 - Sorbitols: The basic substance necessary to make sorbitol is glucose. The latter is made - during the process of the conversion of starch into sugar from vegetable starch. Up to a certain amount, corn or corn starch can consist of genetically modified corn - in particular, if raw materials are imported from the USA or Argentina. In the EU, genetically modified maize is grown on a comparatively small area and nonetheless is not used as raw material for foodstuff. This may change in the case that the cultivation of GM maize increases in significance. Ingredients derived from several types of GM maize are approved in the EU. Enzymes 'unlock' the vegetable starch and convert it into ingredients and/or additives. Several of these enzymes are made with the aid of genetically modified microorganisms, e.g. amylases, glucose isomerase, and pullulanase.